What is the evolution that lies ahead for the e-commerce talent landscape in 2019? Is the HR prepared to face the challenges and rise up to the demands of our changing times? A recent research by PwC India and NASSCOM suggests that the current Indian e-commerce market, pegged at $35 Bn, is expected to grow by 25% in the next five years. Representing only 13% of retail sales with around 100 Mn consumers purchasing online in 2017, this number is expected to cross 120 million by 2020, thereby fuelling greater demand for e-commerce. A prominent contributor to these figures is India’s buzzing smartphone market. In 2018, 42.6 Mn units were sold in the July-September quarter alone. With the staggering increase in the number of mobile users and the rolling out of 4G connectivity, users are beginning to experience a swifter and more reliable mobile internet experience – which in turn is causing a surge in mobile commerce. Every e-commerce firm is striving to make their business relevant by launching mobile apps to tap into this large retail audience. Major e-commerce players like Amazon, Snapdeal and Flipkart receive substantial business via their apps. Morgan Stanley estimates that annual spending by India’s online shoppers may increase more than six fold to $200 Bn in about a decade, given the ubiquity of smartphones and affordable data plans. India witnessed numerous mergers and acquisitions in 2018, a trend that could well continue into 2019. This year, US retail giant Walmart Inc picked up a 77 per cent stake in India’s largest online retailer, Flipkart for $16 Bn. The deal was India’s largest acquisition and the world’s biggest purchase of an ecommerce company. Amazon, the Alibaba Group and other players are also investing in local businesses to multiply their presence in India. With a large infusion of capital from private equity players and venture capitalists, cash flow is not the biggest concern. There is a clear implication on hiring trends as brands fight to establish leadership in the market. We can also attribute the robust hiring to the expansion of Internet businesses to smaller cities and towns and the necessity to serve these regions. With demonetization, there is a significant increase in the usage of digital payments in tier II-III towns, which makes it possible for e-commerce companies to aggressively tap these markets. Hiring will no doubt grow stronger in cities like Bengaluru, Pune, Gurgaon, Delhi, and Mumbai. However, brands are not restricting their employee base to metros alone. There is a notable penetration in tier 2 cities like Hyderabad, Jaipur, Coimbatore, Lucknow, Bhubaneswar, Bhopal and Indore. Typically, e-commerce teams have been largely under-resourced with prevailing staff having to cover a wide range of brand and category responsibilities. Increased investment in both headcount and data analytics must coincide with a clear focus on priority actions and products that will benefit the business. 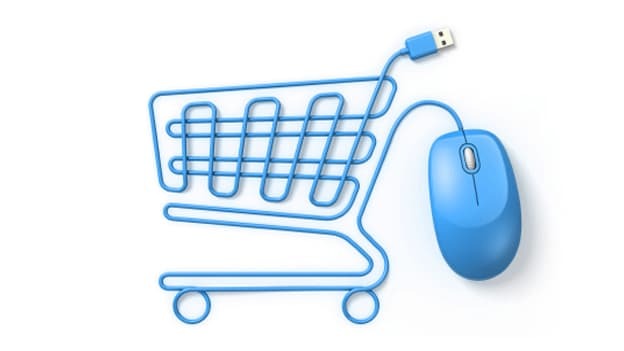 Each year brings new technological innovations to the e-commerce sector. Currently, we are seeing advancements in payments technology, computing and mobility. To stay relevant, brands have to adopt newer technologies that contribute to higher customer acquisition and loyalty, in addition to creating a unique user experience. AI drives personalised shopping for e-commerce buyers. Customers are targeted with personalized ads relevant to their shopping habits based on their browsing and shopping history and therefore become more likely to purchase a product. For interactive sessions, chatbots have popped up across the web, with no signs of slowing down and supported by AI, they provide greater efficacy. From a talent perspective, this means that organizations want to invest in people skilled in technologies that drive consumer engagement. Pay packages could also be higher in 2019 given that the expectations in terms of skills are also rising. Hence, technology will continue to create more employment opportunities. Skills like AI, Machine Learning (ML), Data Analytics, an understanding of payment technologies/fintech and security are fast becoming must-have skills to possess for potential employees. having identified this need, the industries seem to be encouraging the start-up ecosystem to build a pool of experts in areas like AI and ML through upskilling. We will see an uptake on these skills as more and more companies invest in the same and use predictive analytic tools & data models for improving sales and marketing effectiveness. While some e-commerce companies opt to build their technology teams in-house, there is a trend of larger players investing in emerging technology startups to gain a competitive advantage and to maximize profits. Specifically, startups specializing in warehousing and logistics solutions are gaining attention as they provide great automation prospects to e-commerce companies. Additionally, a lot of brands today are working with small to mid-sized companies for developing their technology backbone. This means that skill sets like magento/shopify/capillary/ SAP Hybris will be in constant demand for the global commerce platforms. All in all, the key technical skills required include big data analytics, supply chain management, ML and AI, cybersecurity, augmented reality (AR), virtual reality (VR), RPA, 3D Printing skills and UI/UX/app development. Other job roles such as full stack developing, digital marketing, merchandising, category management and GST compliance, customer fulfilment and business development will also be much sought after by e-commerce businesses. Unfortunately more than 50,000 jobs in data science and machine learning are lying vacant due to a shortage of qualified talent. There is a gap when it comes to talent in data science, machine learning and artificial intelligence. This calls for professionals to up skill themselves to stay relevant and that would be a trend to look out for. Technology aside, we also anticipate job creation in areas like catalogue building (freelance designers, photographers), packaging and delivery, customer service, etc. While a substantial part of the hires would be FTE (full time equivalent) profiles, we can also expect an increase in temporary staffing requirements especially in the area of packaging and delivery. For small to mid-sized brands, it would be expensive to hire FTEs. This in turn would invariably lead to the hiring of more contractual workers, a trend that will further fuel the gig economy. In fact, the gig economy is evolving in the India market and is not restricted to blue collar employees alone. We expect to see technology driven roles like software engineers, UI-UX consultants and full stack engineers to take on freelancing roles as well. With the surge of mobile commerce, technology advancements and its requirements, this industry will continue to drive more employment opportunities and contribute towards creating more entrepreneurs through the ecommerce marketplace model. Manu Saigal is the Business Head, IT Services at the Adecco Group India. NEXT STORY: Does the digital age demand a growth mindset?